Academic Connections is a four-level integrated skills course designed for students preparing for academic study as well as for standardized tests such as the TOEFL®test. A systematic, step-by-step approach helps students develop and sharpen their language, academic, and test-taking capabilities.Academic Connections was developed with the Educational Testing Service (ETS) and is based on extensive research into the actual language demands of higher education.Academic Connections is: Integrated. Academic Connections integrates all four language skills and teaches students how to integrate skills and content in real-world academic contexts. Academic. Explicit, step-by-step academic skill development leads to student mastery. With careful instruction and engaging practice tasks, students learn how to organize information, make connections, and think critically. Authentic. High-interest and intellectually stimulating authentic material familiarizes students with academic content. Authentic tasks include listening to lectures, note-taking, participating in debates, preparing oral and written reports, and writing essays. Assessment-Based. 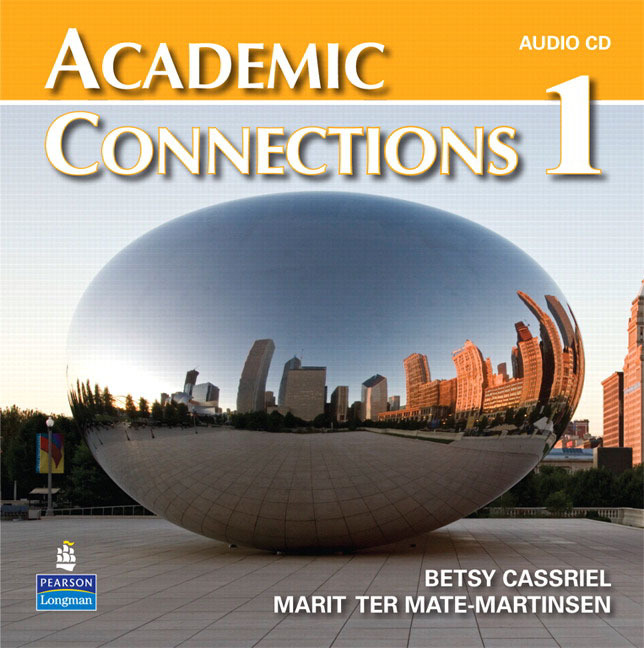 Academic Connections provides a variety of assessments and practice opportunities based upon individual needs.The Audio CD is available separately.Online Component MyAcademicConnectionsLabMyAcademicConnectionsLab, an integral part of the Academic Connections series, is an easy-to-use online program for students and teachers that saves time and improves results. Students receive personalized instruction and practice. Reading and listening selections and test preparation are all in one place available anywhere, anytime. Teachers can take advantage of content and class management resources including online assessments, a flexible gradebook, and tools for monitoring student progress.